Please look out for these Allergy logos under each product,scroll down the page. Sesame allergies may not receive as much publicity as peanut allergies, but the reactions can be just as serious. Allergic reactions to sesame seeds or sesame oil can cause anaphylaxis. An anaphylactic reaction occurs when your body’s immune system releases high levels of certain potent chemicals. Wheat * gluten allergies, like hay fever and other allergies, develop when the body’s immune system becomes sensitized and overreacts to something in the environment, in this case, wheat that typically causes no problem in most people. Eggs are one of the most common allergy-causing foods for children. 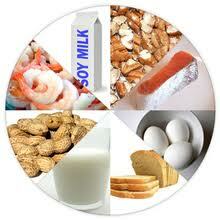 Egg allergy symptomsusually occur a few minutes to a few hours after eating eggs or foods containing eggs. Signs and symptoms range from mild to severe and can include skin rashes, hives, nasal congestion, and vomiting or other digestive problems. Chicken allergy reaction : Chicken allergies aren’t common, but they can cause uncomfortable or even dangerous symptoms in some people. … You might also become allergic to live chickens or to chicken meat after many years of having no allergic reactions. Some people with chicken allergy are allergic to raw but not cooked chicken. Please notice, each spice image listed under each product we offer. The following spice pictures indicate the following spice heat and if you are a not spice palette, then we suggest go for no spice or a low spice to start off enjoying our dishes. If in doubt ? ASK ALWAYS PLEASE, ABOUT OUR Ingredients and do not hesitate to call us to obtain strictest dietary needs for every dish we provide.